Tags arrive on a perforated sheet without hole punch. 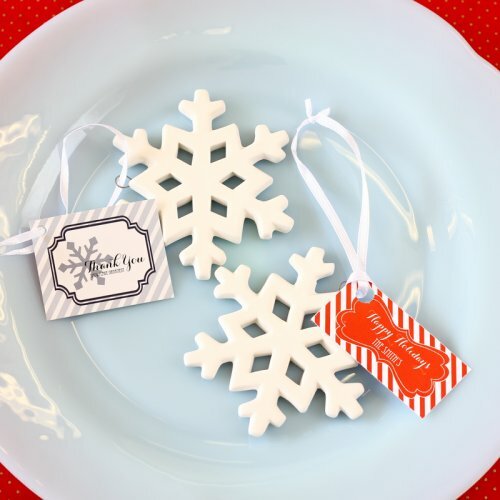 This classic white porcelain snowflake ornament is the perfect favor or thank you gift for guests this holiday season. Whether displayed on a shelf or hung on a Christmas tree, these delicate, white snowflakes are sure to compliment all home decors beautifully. Add a personalized label to create a customized party favor to match your event theme and colors. Product arrives in a clear bag, tags arrive separately.